When in doubt or when facing competing solutions to a problem; when thinking about how to best live out our faith in the community; when organizing, mobilizing, and planning; the simplest answer is the best answer. The shortest distance between two points is still a straight line. This is more than a principle. Simplicity is a way of looking at ourselves, our work, our relationships, our faith, our vocation, and our world. How I wish the church were different, but sometimes the church is anything but simple in its structure. This is why I wish we had more time to talk about William Ockham. He was more than a philosopher. Centuries ahead of his time, he revolutionized the fields of logic, physics, and mathematics. He was one of the first Europeans to write about monarchial accountability, democratic government, and maybe the very first Catholic to bring up the subject of separation of church and state. He casts a long shadow. But missed in all this is an overlooked fact: Ockham was a theologian by trade. He was a monk. He was an English churchman. Why haven’t we applied his philosophy of simplicity to the subject and entity he knew best – the church? Why do so many churches make it so hard to get in, and so easy to leave? Why do so many churches build massive theological explanations of their beliefs, but spend so little energy living those beliefs? Why do some denominational structures still mirror the feudal system of Western Europe with Bishops, Archbishops and Cardinals taking the place of princes, earls and kings? Why do some churches need enough organizational documents and charts to fill a shelf of 3-ring binders, if not three book shelves? Why does a church of 200 people need 25 committees? Why do some pastors demand that the people be more committed to the institution of a specific church, than the person of Jesus? Why does the church organization drain people of their energy instead of setting them free to live and minister to others? Why are church structures so brittle, so unassailable and unamendable? Why can’t we, the children of the Reformation, do better at reforming our institutions? Why does our traditionalism keep us from adapting to practical, everyday considerations? Why are we more concerned with our container than the content of what’s inside? Why does church leadership allow good and godly people to kill themselves for the organization, instead of letting them live their lives for Christ? Why do we allow organizational complication to distance us from the people we first organized to serve? 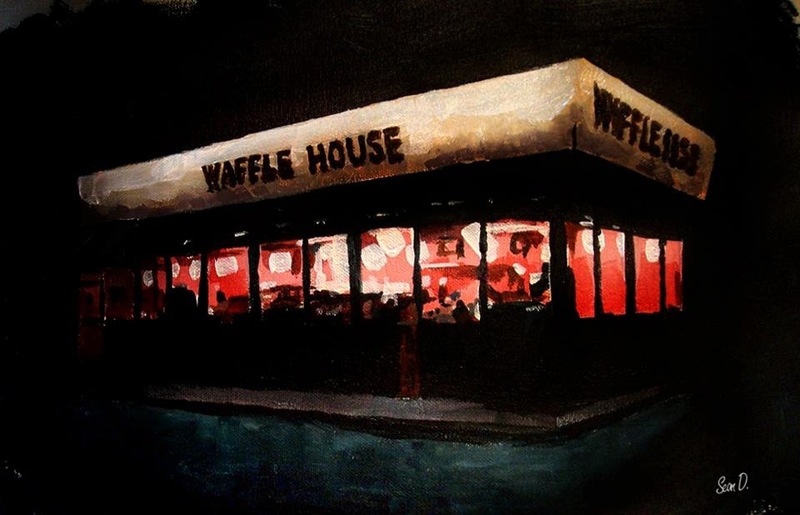 The above post is an excerpt from Ronnie’s latest book, “The Gospel According to Waffle House” now available at Amazon.